Nothing Better Than Beautiful Summer Days! 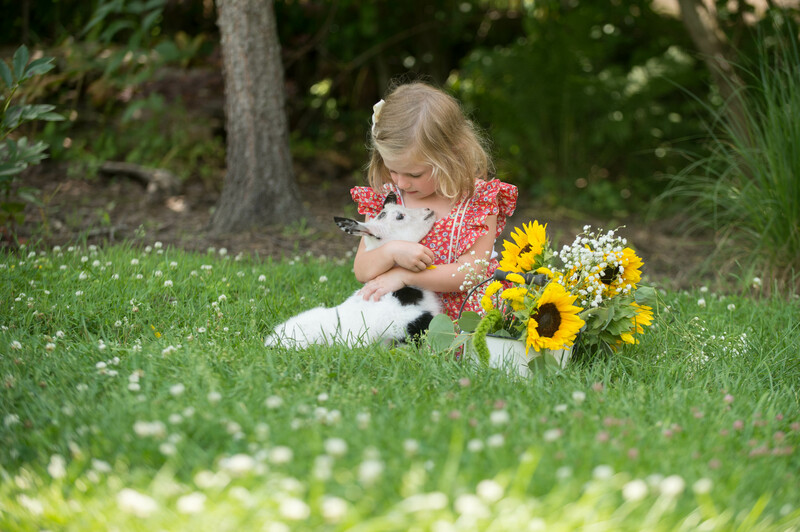 We normally only offer mini sessions around the Holidays – when clients want a quick, nice photo to send out to family and friends. Maybe a quick session when the leaves are turning those lovely Autumn colors. Mini sessions are a great time to get some updated, nice photos without forcing your kids (and husbands) to behave for an hour or so! However, when the mood strikes & you get some crazy ideas, you just need to act on them! 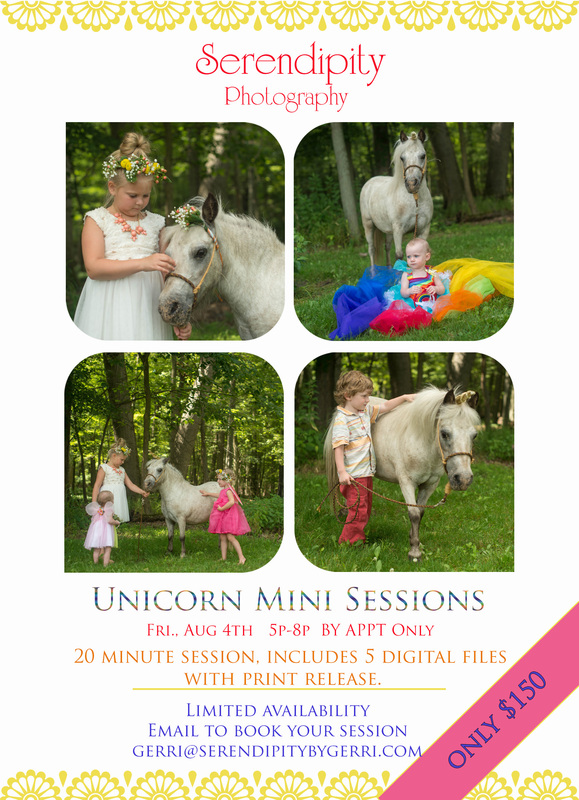 We are offering mini sessions with a baby goat & a unicorn. Yep, you heard that right! 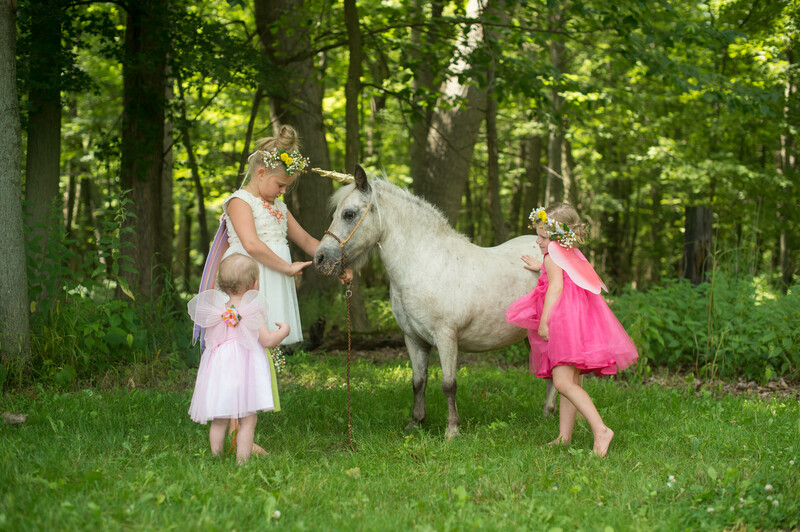 Well, the Unicorn can also pass for a pony if you want something simpler. 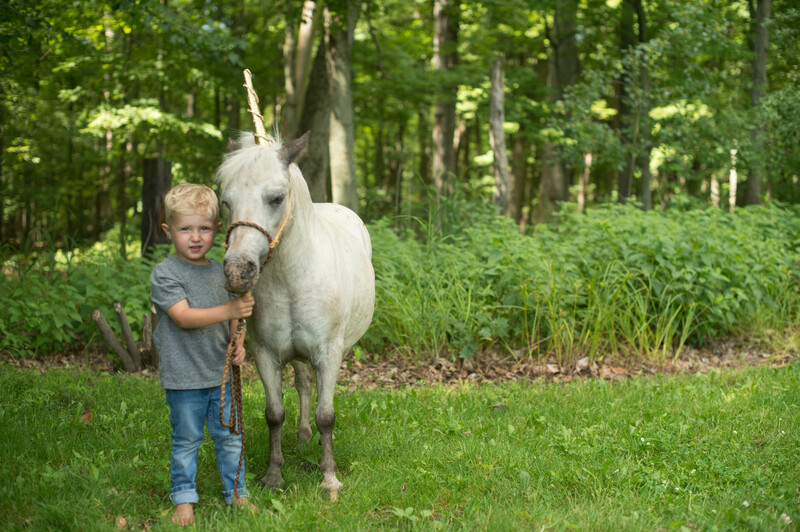 My grandkiddos were kind enough to come out last week & “model” for me so that we could show everyone what these minis will entail. 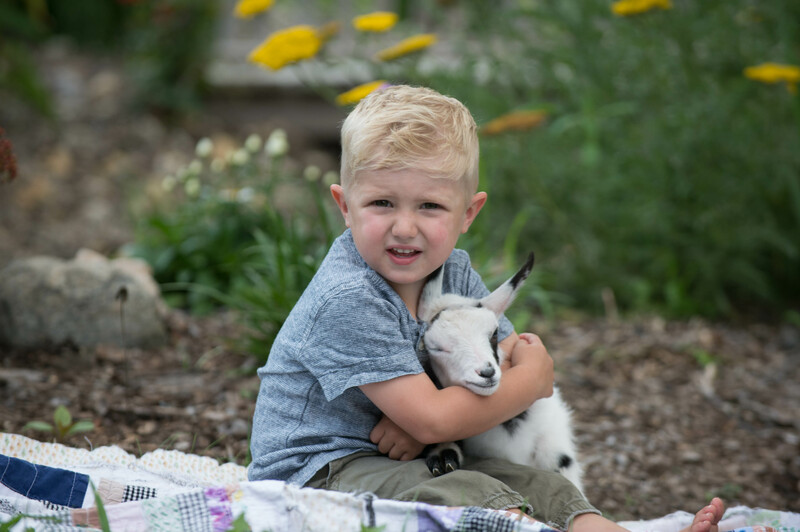 Just some plain fun, hanging out & cuddling with a pony/Unicorn and a sweet, playful, happy baby goat named Loomis! These will be on two separate days, July 28th & August 4th – one for each little animal! 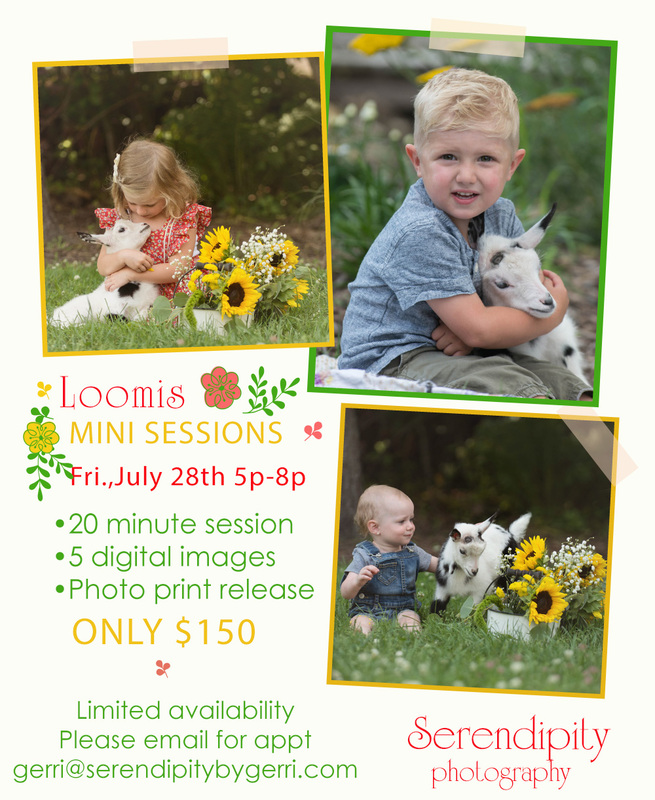 Times will be limited so please email me asap if you would like to experience this for your kids (or for yourself, come on, you know you want to cuddle with Loomis!) Please email gerri@serendipitybygerri.com for your session time and for any questions! 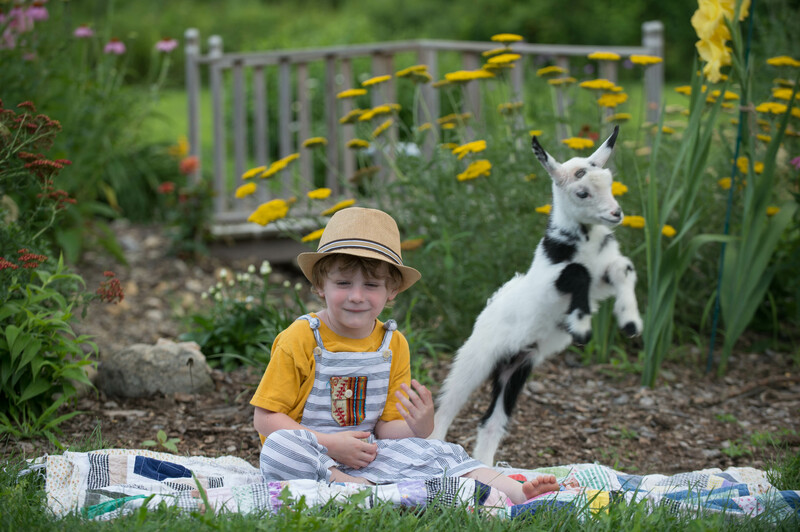 No kid-ding around- this will be the most fun you’ve had all summer!